I've had the pleasure recently to read three management books that some may find contradictory, but I've found value in all three. Respectively, they take a sociological, mechanical and social psychological look at business leadership. People naturally self-organize into naturally developing insular groups or "tribes". People quickly identify with their smaller groups first and then larger groups second. While they may identify with your company, their first allegiance to to the group within your company. If your organizational structure is in conflict with the natural formation of these tribes, work teams will probably be dysfunctional. If your organizational structure stops people from naturally working in tribes, they will rebel. Good business understands people's need to gather and be social. Good business provides a structure that allows groups to form naturally and non-destructively. A good business rewards the creation of the business-wide supertribe over the sub-tribes. A good business balances individual rewards and tribal rewards. A good business has a strong sense of identity and understands its competition. Good leaders can spot the formation of counter productive insular tribes and diffuse that energy into the overall tribe. Good leaders game the tribal system through various rewards and punishments (though preferably rewards) to keep energy and enthusiasm focused on the company's mission. Good leaders foster constant communication between people throughout the organization to show that everyone is working together. Good leaders understand how to make individual strengths into group strengths and not into positions of hoarded power. Bad leadership results in uncertainty in the workplace. When this happens, the worker's security of the super-tribe is threatened. One of the first things they will do is shore up a power base. This usually comes from a smaller group of like-minded people. Say, the marketing team (tribe). This results in the creation of factions throughout the company who are more interested in the security of the faction than the overall company. Bad leadership can include, dictatorial decision making, poor communication, or uncertain business goals - to name but a few. Quality in Immelman's world is an outgrowth of a healthy culture. People naturally want to do well and when they identify with the company first and their group second, they are predisposed to provide quality work because they want the company to succeed. Business success is contingent first and foremost on a firm business plan. A good business is one that will not close in three months. In order to assure this, it is incumbent upon the entrepreneur to answer several basic questions. Can this make money? Can this have good cash flow? What is the marketing model for the company? When is it alright to launch new business lines? The healthy company is led by someone who has a firm grasp of the economic health of the business. Is there enough cash flow? This leader also is responsible for growing the business. When should you add a new product line? When should you add a new service? People don't have much time to react to bad leadership because the company collapses under the weight of its own bad planning. Quality is embodied in and an outgrowth of the sound business plan and strategy. Quality is beyond a merely a good product, it is the full understanding of the environment in which the product will be manufactured, sold and supported. Successful leaders watch trends. They get into positions of power usually because they can spot, follow and respond to trends to the benefit of their organizations. Leaders also find themselves seduced by apparent trends involving themselves. In short, their own success can make them arrogant. This arrogance has 21 (or so) bad behaviors to watch out for. Understanding our own submission to these behaviors can allow us to correct them. If the leader can correct them, that leader can become even better. Good business is a managerial style that is non-combative and supportive. Good business does not allow management to run roughshod over staff. Good business has feedback mechanisms in place to ensure that even upper management are constantly improving. Good business understands that civility is a major asset. Leaders understand how to empower, how to acknowledge effort and how to see the boundaries of their own input. Leaders rally staff to action and are not the source of all action. Bad leadership is divisive. People don't perform, resent the chain of command, and will look elsewhere for work. They figure, Life is Too Short for Bad Management. People also generally don't tell their managers that they are bad until on the way out and by that there has usually been enough politics that the manager doesn't value their opinion. Quality here is in the role of personal introspection. Does the leader care enough about the organization to question the leaders own actions and style? Can the leader be hurting the organization while being successful in it? If the leader is providing quality leadership, then the leader can face any personal failings and work to improve upon them. A foolproof road map to success. Don't grow your business without it. Nothing is a foolproof road map to success. That statement would have made me distrust the book from the outset. As it was, I ordered the book from Amazon which meant I read the Amazon recommendations before the cover of the book. As you can see, I gave this a 4 star rating - so I obviously enjoyed it. My 4 stars came from three qualities of this book. 1. 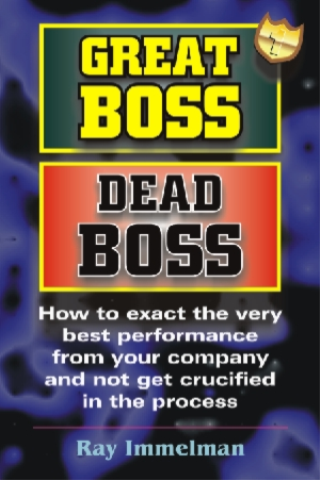 It's concise - business books love to over-explain or try to micromanage their readers. 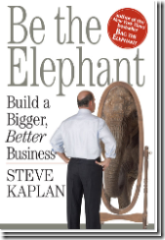 Be the Elephant is less than 220 pages. 2. It provides tools - There are more than a few very helpful, simple tools for business analysis that I began using before finishing the book. 3. Website - the book is backed up by a website that has templates for the tools. All in all, the book is built to quickly give people necessary tools to avoid failure. The tools don't guarantee success, but they go a long way to helping you avoid failure while also avoiding analysis paralysis. So, even though I apparently don't recommend the cover quotes, the book is an excellent toolkit for small business owners. In the world of technology books, the Social Life of Information is "old". Written a staggering 7 years ago, this book was the face that launched a thousand excited and often misguided ships. Like most books that present a new, unusual and promising way to look at human interaction, many took the most simplistic implications of the book and called it the core - then went crazy trying to implement them. Oddly, this is exactly what the book is warning against. In this case, it would be warning against the application of technology or information without giving careful consideration to how the information is used socially. There are countless posts in this blog now about providing adequate context to information and tools. People need reasons to use tools and for the tools to provide them with both information and an indication of appreciation for using the tool. JSB & PD are essentially arguing in the book that a focus on information alone does not provide value. Written in 2000 and now reviewed by me in 2007, it is apparent that this book struck a chord. Pre-Dot-Com-crash, there was much emphasis on the information infrastructure. Then this book arrived. 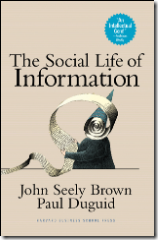 The Social Life of Information seemed to fit well into networking theory, a'la Duncan Watts. With these, and other works, the social networking boom was on. I think personally, for me, I realized this was a pretty important book when I became rather bored with it in the middle. "I know all this," I was thinking to myself. 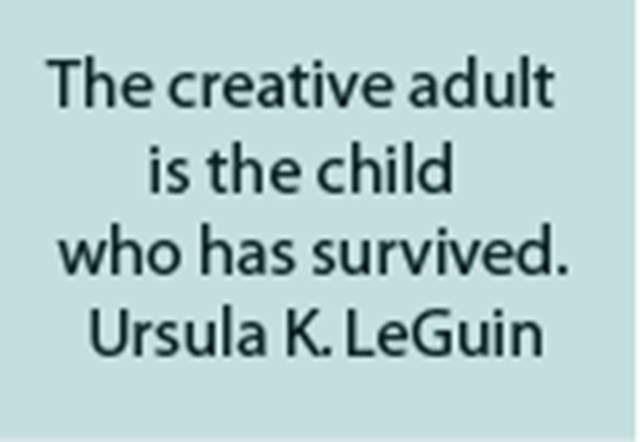 While reading it, my mind kept wandering to the social media book I'm trying to write. I kept coming up with new thing to write in the book. Soon, The Social Life of Information, was coated with scribbles related to my book. And then I had to laugh at myself when I realized this was a large part of JSB's & PD's point. I had all the information to come to these little epiphanies, but it was only through the social interaction of reading their book did many of these concepts gel. These thoughts gelled not because these guys were specifically telling me them, but because reading their book was part of a pattern of practice of my own in social media. Their ideas, my ideas, their experiences, my experiences and information combined to create context. Our social interaction created context. Okay, you're going to have to click to enlarge the image, David's book title is just too damn long. Anyway, readers of Ray appear to be readers of David. For the last few years I've been building my company to have a specific type of self-reinforcing corporate culture. There is still authority, there is still people with assigned roles, but I wanted my group to feel truly energized about working on our products and projects. I have noticed over the years that management books recommend a lot of activities but the subtext was always this: communication is the heart of a good environment. My psychological training (sorry tom cruise) has also given me great insights into what motivates and what demotivates people. But those mechanistic models of action and reaction were always searching for a unifying construct. Ray's construct is tribal behavior and balancing our need to feel good about ourselves and the groups to which we belong. In essence, people tend to gravitate toward groups that reinforce their self-worth. Traditional business structures tend to rigidly group people and, by doing so, people identify with smaller groups of their own design rather than their larger corporate or office group. The results are seldom good. When I was working for a large consulting company, I was initially part of and later the lead of their Intelligent Transportation Systems (ITS) Group. We had millions of dollars in contracts every year and, despite the work we put into educating the planners and engineers of what we did - they would routinely sub out ITS work. At first we thought they were not getting what it was we were doing. But in reality what was happening was that they got much more value from subbing out our work. This value came from raising their stature in planning / engineering by being the "Prime" and maintaining their relationships with other companies thereby ensuring future work for their group. Their tribal needs (engineering or planning tribes) were better served outsourcing the work, when our tribal needs (ITS tribe) would have been better served by keeping the work in house? Who was right? Well, we both were. But in the end, the lack of communication between our groups created an adversarial atmosphere which impacted relationships and quality of work throughout the firm. I find some holes in Ray's model - for example I find it a bit weak on the outside issue front. There are people out there who have issues outside the office that directly impact their response to things inside the office. Ray does cover this, but compared to his attention to detail on the rest of his model - this part seems a little weak. Having said that, his model is sound and a great construct to help diffuse otherwise tense situations. You can be told that angry people have an unfulfilled need and that the proper response is to find out what that need is and discuss it all day ... but when someone is yelling in your face that's pretty hard to zero in on. With Ray's model, there is a short cut to analyze the type of threat (as opposed to the specific threat) the person or group feels and then deal with that. We're in the process of creating an employee manual and it's been bothering me for quite a while. It's rigid, dictatorial, and top-down. 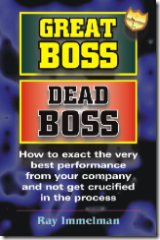 Great Boss Dead Boss has given me an inkling of how I'd like to re-create the concept of an employee manual. ... but it's just an inkling. Lastly I'll note one other element of this model: when you think of your organization as an entity - as a tribe or whatever - it's important to give that entity substance. Substance that comes from a strong definition (not a mission statement) and a good sense of self. Oddly, I had been working on that for the last few months. Gathering up the lore of Gray Hill Solutions, identifying why our processes work, and incorporating those two things into a single narrative to better explain why we do the things we do. Suffice it to say, I'd highly recommend you read Ray's book. Oh, and it's a narrative. But don't let that stop you. A fantastic how-to and reference for interface design. Well stocked with images and illustrations. The layout is beautiful and functional. It's incredibly easy to quickly find what you need in here. 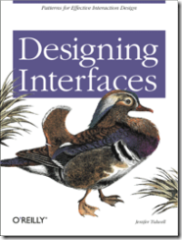 Designing Interfaces is a good primer, but it's also a great reference. 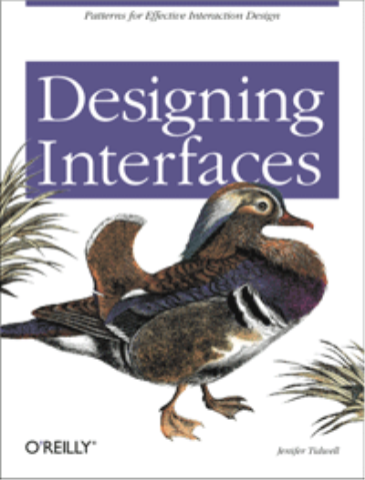 Shoot through the book for a quick understanding of how different interfaces work and what their design patterns are. Then keep it handy when interface discussions come up. I've already recommended it to four people who've already purchased it and a few more are on the way. Normally I have a one sentence, one paragraph, one page review. But this one wants to be more free-form. The 48 Laws of Power details 48 individual laws of coercive power. How to obtain it, how to hold it, how to avoid being hurt by it. The overarching rule of power - that it corrupts - is never directly mentioned but is apparent. Greene provides amazing examples of history's masters of power. Napoleon, Catherine, Qin, etc. One seriously can't stop reading this book. But, for me, it caused a sort of recursive introspection that haunted me for days. I was constantly thinking of past events. What the power dynamics were. What I did wrong. Who was the victor. What the lasting damage was. What could be written off. The good news is that, historically, I've done pretty well. When I was impertinent, I was not beheaded. When I was overeager, I was not exiled. I have not been imprisoned or had my wax wings burned. I haven't been drug through the streets or forced to live as a slave. But I have overly applied power when I've had it, been burned by others when they've weilded theirs, and not played political games with skill and cunning. I have lost friends and overly rewarded those who wished me ill. I have been slow to identify malice. This book was a slog for me. It was rough. It was necessary. Emergence describes the growing understanding of emergent properties in large populations from slime molds to cities to brains to people to software. Johnson wants you to know about Emergence. Emergence gives you perspective. Perspective helps you understand context. Context helps you make sense of things. Since the dawn of consciousness, people have been looking for context. Emergence shows us that populations gain a shared, deep, yet barely conscious understanding of things like our roles, the instances of danger, and how to spot trends. As various types of pressures mount (be they in the forms of pheromone slime, DNA, social mores, or other elements) individuals begin to support a society. They begin to cooperate. This may be permanent or ad-hoc, for survival or whim. It made even be for ill, but the tendency to flock and act is pronounced. This impacts us from the macro (how our civilization supports itself) to the individual (how we understand that the person sitting across from us is feeling). A powerful book with no ending, Emergence just sort of stops on its final page leaving the reader smarter and with the understanding that the end of the book is not the end of the story. I'm an urban planner. I often felt that my urban planning degree left me prepared for everything and nothing. We had a little economics, a little public policy, a little civil engineering, a little architecture, etc. I always felt off kilter in the planning profession - as if I were doing what I thought I should be doing, but somehow missing the mark of what I would be best at. After being an urban planner for many years, I decided to leave urban planning and go into technology - creating software for government so agencies and bureaucrats could cooperate better / could manage better. About five years into this, I fell into a group in Palo Alto called Institute for the Future. After one night's meetings, we went out for dinner. Of the eight of us at the table, four of us had urban planning degrees. Out of the 40,000 students at Michigan State University in 1989 - 15 were urban planners. Entirely gathered we were hardly even a dinner party. Yet, here we were blinking at each other across a dinner table next to the gates of Stanford - 50% urban planners. 50% of us defined by urban planning, yet no longer doing urban planning and ... here. Looking into the future of technology and society. We had made the choices of career paths independently. Different universities, the same degree and then this destination (or this way station on our journeys). All with the same story about really liking urban planning but wanting something more ... something like this. Johnson touches a nerve therefore in tying Emergence not just to the movement of mobs or slime molds, but to the evolutions of - specificially - urban form and software. Under these he continues to break them down by the formation of community, transportation, and modelling / simulations. You could scarcely pierce my soul more cleanly. Emergence is shown to be an inate property in all living things. From single cells to complex constructs like societies, emergent properties are measureable, somewhat predictable, and usually unconscious. Slime molds are individual organisms that can quickly coalesce at a food source and, when that food source is depleted, disband. But the coalescence is not the action of a single controlling King Slime Mold, rather it is the many-to-many communications of individual slime mold cells that make this possible. Slime Molds are the ultimate ad-hocracy. But somehow, we too are like Slime Molds. Urban planners gathered around a dinner table to discuss futurism rather than out processing development permit requests. While I was a growth management and transportation planner at Metro, the regional government in Portland, Oregon, we were undertaking a series of initiatives to help foster certain types of growth and development in the region. The Transportation Planning Rule and Region 2040 were each, in their own way, meant to promote the Jane Jacobsian ideal of a vibrant city. And it worked ... but not alone. The residents of Portland and the rest of Oregon were intrinsic to the successes of these initiatives and they were probably less responsible for the failures. You see, these projects were highly controversial. They provided guidelines (dictates) for how to develop in ways that promoted pedestrian activity, ecologically friendly design, and community. Anyone who goes to Portland from almost anywhere is amazed at how dense the city is, yet how easy it is to get around. They are amazed as how liberating it is to walk around. Is this because of the Portland population or the planning? The answer can only be yes if you take them both together. Portland style planning would bomb in Nebraska. At least at the moment. The Region 2040 Plan could have only happened in a place with the political will to allow it to be created in the first place. Yet, many people in Portland now, moved there in light of how it is laid out and managed. A virtuous cycle where the population wanted walkability, cohesive neighborhoods and transportation choices -- and government delivered. But if you wanted to point to the person or the day that sparked that desire and you won't find it. It emerged from the culture of Portland, Oregon. A culture that was the product of its inhabitants as a whole. After being in Portland for a while, I came back to Seattle. I have been frustrated by the difference. Portland can build infrastructure quickly, the population stays informed, the culture grows. Seattle can't seem to find its culture. We don't know what we are, or so it feels. Emergence can be stymied. Slime molds can have their pheromone trails erased, covered up, or removed. Elements can work against emergent behavior. This may lead to compensatory emergent patterns, but those are adaptive and adaptation takes time. Time, after all, is the key to emergence, which is frustrating when you are a single celled organism itching for results. Johnson covers a lot of ground in this book and, as is often the case, I talked more about the concepts involved than the book itself. Most of my notes in Emergence cover the fact that Emergence was written before blogging, before Second Life, before World of Warcraft. So his examples of emergent behavior on the net or in video games is already antiquated. He notes in the book that games were slated to come out shortly after publication that would advance the emergence themes. When Spore comes out this fall, which includes emergent properties not only in game play but also in how other beings come to populate various worlds, that should be a great standard setter. I also find it somewhat eerie that, utterly in context and at random, I quoted Johnson in my blog post earlier today. Lastly, he covers the then natal field of Traffic Adaptive Control (or so it has become known) where we are starting to introduce emergent properties into traffic management software. Signals are beginning to learn from the actions in the rest of their network. This will relieve us of arcane and rarely accurate signal timing plans and introduce us into a world where the traffic network is self-regulating. The signals watch the movement of vehicles and adjust their light patters to maximize efficiency or other operational needs. I am a subscriber to John Hagel's blog feed and have found his posts to be insightful, thought provoking and timely. It's interesting how the things he's looking at intersect with what I've been looking at. Often at the same time, sometimes he's way ahead of me, other times it's the other way around. In a few comment / e-mail exchanges a while back, John urged me to read his book - so I've finally sat down and done that. John has always talked about his book in terms of outsourcing or talent building. The primary premise of the book is that in order to grow smart, businesses need not expand - but need to harness the power of outside companies that can bring in top-notch talent when it is needed. The primary industries that he and John Seely Brown use to prove this point are manufacturing and high-personnel, low-return items like call centers. However, while those are the ones we might expect they also give examples of product design, invention, and other elements we would normally expect to be in-house and highly secretive. 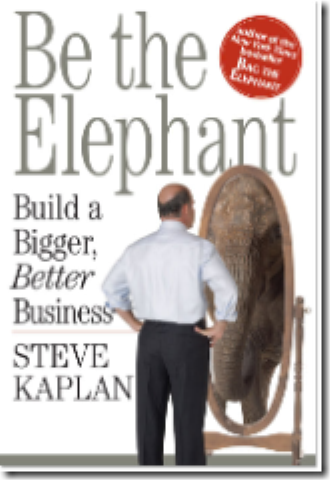 What interested me most about the book is that, for me, it really wasn't about outsourcing or talent building. The book was about agile management. The Only Sustainable Edge is a book where the promoted business model - to have mission-critical elements of your organization exist outside your organization - can only be successful in an agile environment. In order for outsourcing to be successful, businesses need to be comfortable with their business partners. As comfortable as you would want to be with a nanny. This requires a great deal of understanding, communication, transperancy and trust. Understanding involves a shared vision of the job to be done. Communication involves frequent discussions about how things are progressing, reiterating the goals and vision, and mutual evaluation. Transperancy involves being able to see into the processes of your business partner while they are working on your project and to allow them into your side of the project as well. Trust involves being able to sleep at night, knowing that your business partner is working with you and not for you or against you. The Only Sustainable Edge is a short book, but Hagel and Seely Brown manage to fit a lot in. I would recommend though, that anyone who reads the book also subscribe to John Hagel's blog. He really does take up where it leaves off and provides top-notch content. Blogging offers businesses a real-time view of customers needs, likes, and opinions; avoiding the conversation willfully alienates businesses from their customers. Business is evolving from a paternalistic relationship where customers get what they are given by companies that make decisions for them to a cooperative relationship where customers and companies collaborate on products and services. Scoble and Israel present several vignettes of companies that have blogged or allowed blogging with varying levels of success. They analyze these experiences, pointing out the dos and don’ts in the rapidly developing world of business blogging. The surface message of Naked Conversations is simple: As we move forward, businesses are becoming expected to blog. Lack of blogging is an indication of companies that do not wish to have a dialog with their customers. That indication is perceived as condescending and is being shunned more often by customers. Scoble and Israel identify multiple companies or employees that have blogged and the results for them. Some companies have seen great benefits and have avoided public relations disasters through effective blogging. Other people have lost their jobs or angered their clients. The book provides several guidelines and what to or not to do when blogging as a professional. Most interesting from me from a cooperation standpoint are two elements: Viral Marketing and Gaming. That exchange is cooperative. The product came out, users had a way to have a direct and low-cost conversation, and what was a potential annoyance for users has been turned into a plus. Blogging is primarily about conversation and recognition. Speaking in a vacuum will garner few listeners. Conversation happens whether you want it to or not. These are all very positive. Gaming however is a major focus for businesses. Businesses want to become part of the conversation to sell more stuff. In the end, that’s the primary focus for business blogging. In light of that, wanting to become part of the conversation can be seen as gaming it. Your victory conditions for the game is to build a network of information dissemination and satisfied customers that will support you should things sour. Businesses will rarely blog as a public service. In any game, sustainability of the game requires adherence to certain rules. The rules of blogging involve ethical and frequent transmission of information. Scoble and Israel describe events where companies have willfully gamed the system by creating false personalities who blog, blogged directly about their products, or invented information. However, the case can be made that any intentionally corporate blogging is gaming the blogging network. Scoble and Israel say that most bloggers are somewhat inoculated against such false messages – but few can be truly immune.